First of all, the target for something controlling this box is an Arduino. It’s got a nice library that Nicholas Zambetti created to do TWI/I2C communication, so that part is fairly easy for beginners to play with doing weird things to control their Playstations. Thing of it is, well..a few things. 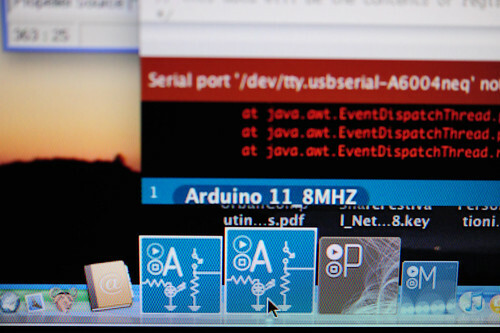 First, the Arduino runs at 5v and 16MHz. The Propeller was created using a CMOS process that wants no more than 3.3v nominally, and 3.6v at the most. 5V can be done with some series resistors to limit current, evidently. Probably works fine, but may not be that great for a $12 chip over a stretch of time — for testing, probably you can get away with this, but.. I had hoped to get a PCA9306 bidirectional level shifter on a break out board (which I subsequently did..), and had a bunch..and some break out boards I thought it’d fit on, but the packages for this thing are smaller than I thought. Oh well. Alternate plan. 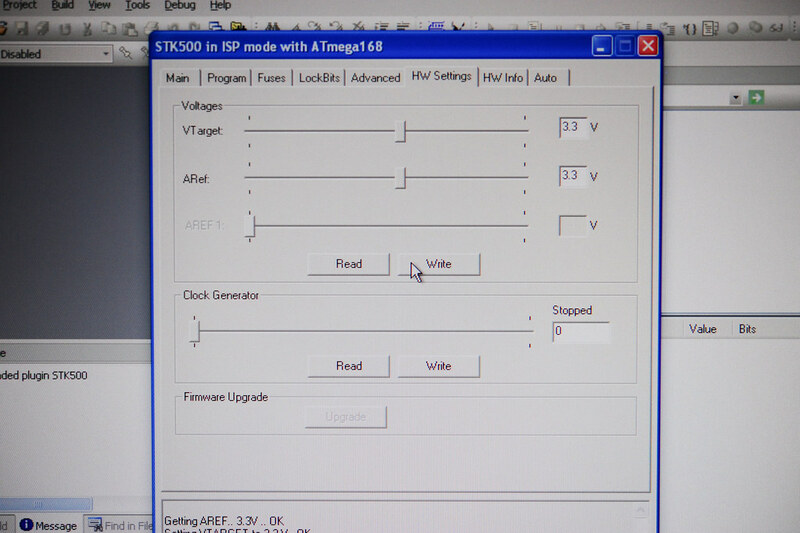 Put an Atmega168 on an STK500. 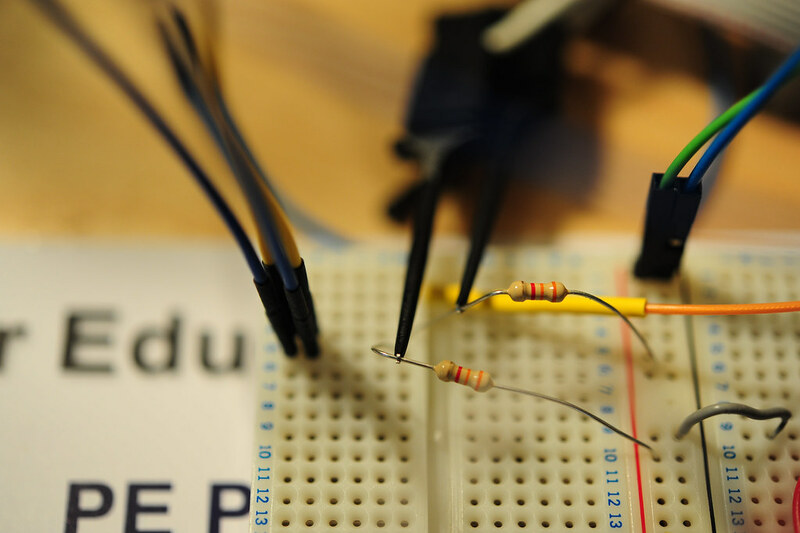 The Atmega168 is the same microcontroller found in the (5 volt, 16MHz) Arduino. Now, just turn the voltage on the STK500 down to 3.3v, right? Yep, for a start. Unfortunately, the Atmega168 doesn’t want to clock at 16MHz at that voltage according to the electricals in the specification sheet. It’ll do 8MHz, but not 16MHz. Well enough. So, I set the fuses on the chip to use the internal clock, unset the CLKDIV fuse so there’s no internal divider and it’s running at 8MHz. The only way to get the Arduino IDE to compile for another clock speed is, to the best of my knowledge, digging into the file tree and mucking by hand with the Makefile. 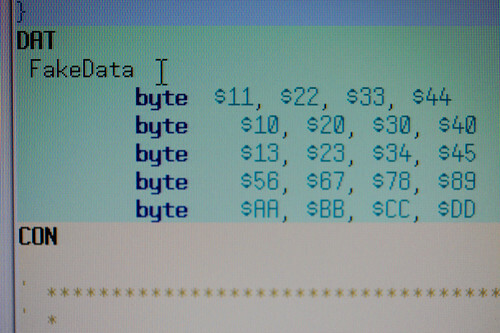 From the Arduino application directory, I went into hardware/cores/arduino and changed F_CPU in the Makefile to 8000000. But, I didn’t want to forget that I’d done this and cause myself headaches with other projects, so I copied my Arduino IDE into a whole new directory. Now I have an 8MHz version of Arduino. Okay, all set? Code compiled, click upload to board? Well, not quite. Of course, the STK500 isn’t an Arduino so getting compiled .hex files onto it isn’t through the usual drill of clicking the “Upload to Board” button. What I have to do is boot up the free IDE that the Atmel people provide called AVR Studio. It’s their IDE. 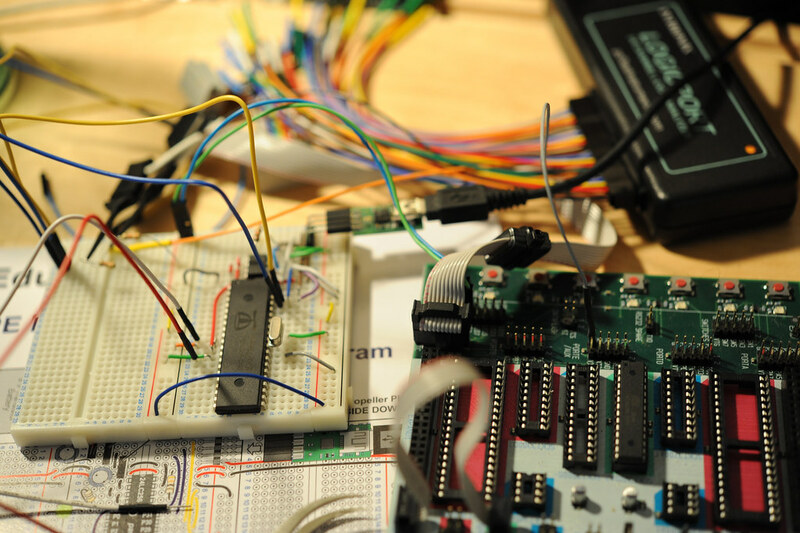 You can connect it fairly easily to the win-avr toolchain, which means you’re running GCC tools to build for the microcontroller. It’s free, so don’t complain. It runs on Windows, so only complain if you have serious religious issues, but even then, you’re putting that ahead of getting some work done. I just run it in Parallels and get on with things. AVR Studio is able to connect to the STK500 over a USB-to-serial port. From AVR Studio you can adjust the voltage of the board, set fuses, a bunch of other stuff — and program any device that you put on there. What I ended up doing is clicking the upload button on the Arduino IDE, which creates a directory inside the project directory, which then contains the .hex file that I need to get on the Atmega168. Because I’m running Parallels on the same machine as the one running Arduino, I can share files, pointing to my source code directory as a shared, mounted drive in Parallels. The Lilypad entry uses an 8mhz clock. I know you already solved it , but i though i’d chime in. Yep — it also runs at a lower voltage than the normal Arduino, which I realized in the midst of all this. It could be nice to have some around for debugging in these kinds of mish-mosh situations. Thanks for pointing that out Zach! In the latest version of Arduino, you can edit the hardware/boards.txt file to create a new item in the boards menu for 8 MHz. Also, the LilyPad entry will compile things for 8 MHz. 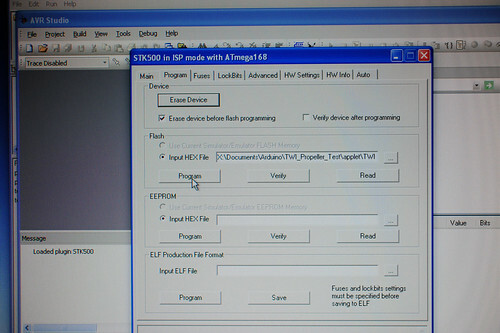 You should also be able to upload directly using an STK500 from with the Arduino IDE. You can set the upload.using preference in the preferences file to the name of an entry in the programmers.txt file. See http://www.arduino.cc/en/Hacking/Programmer for more information. Yep, I’ve been following that discussion. Didn’t know that it was in 011 though! Awesome! Thanks David.